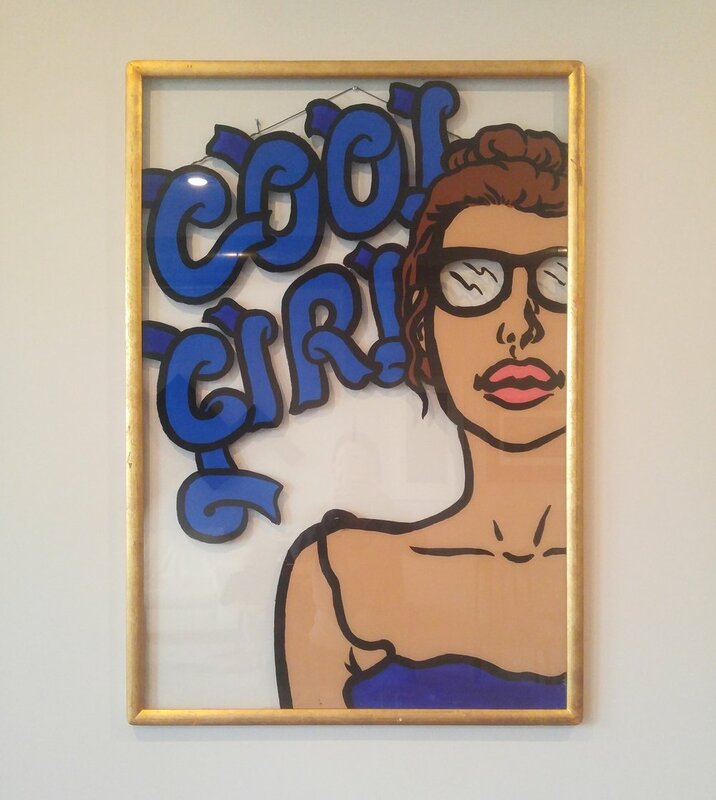 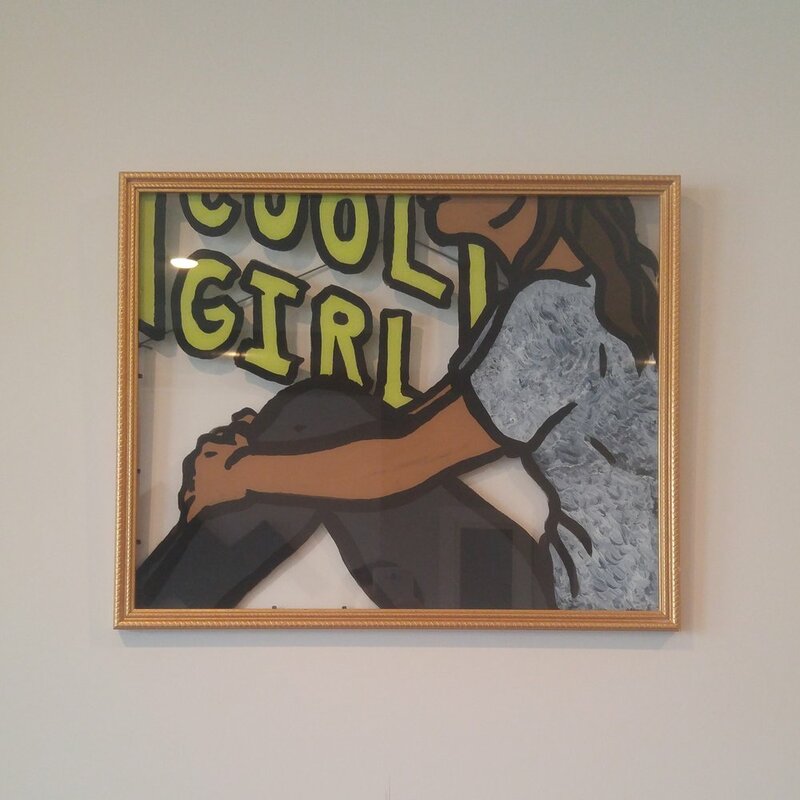 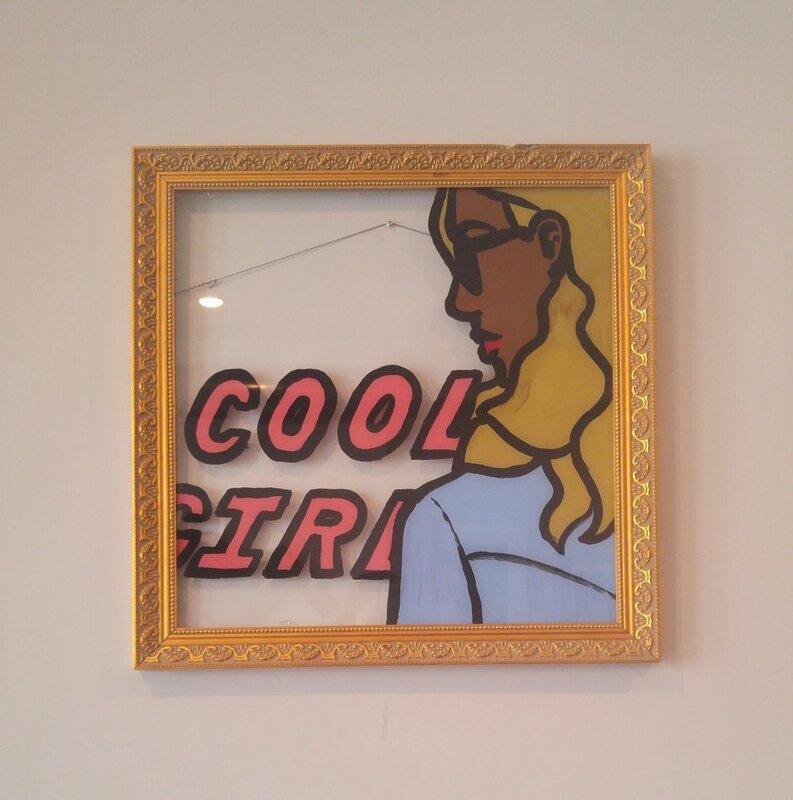 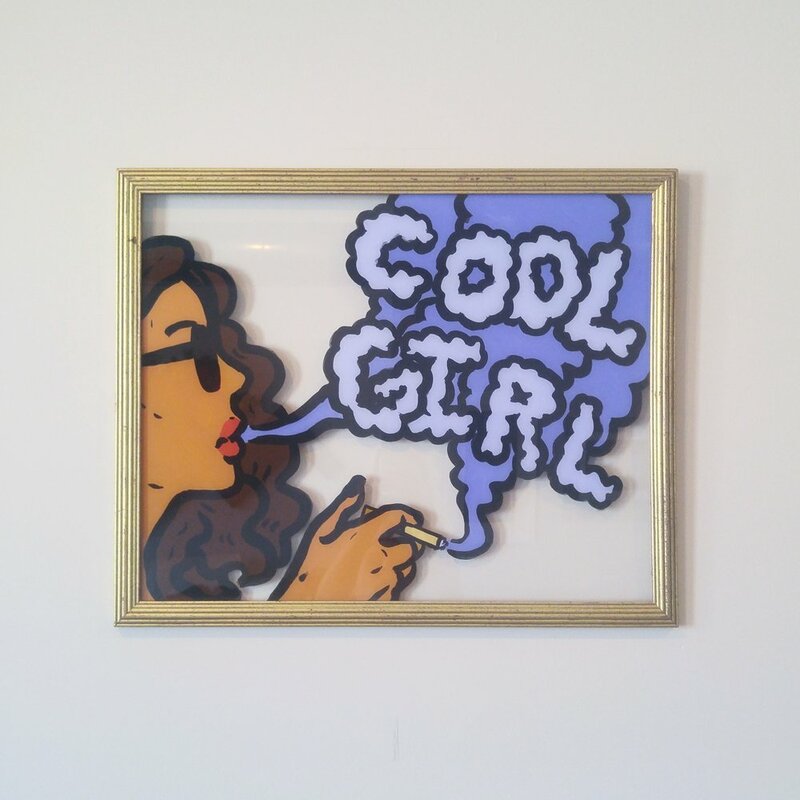 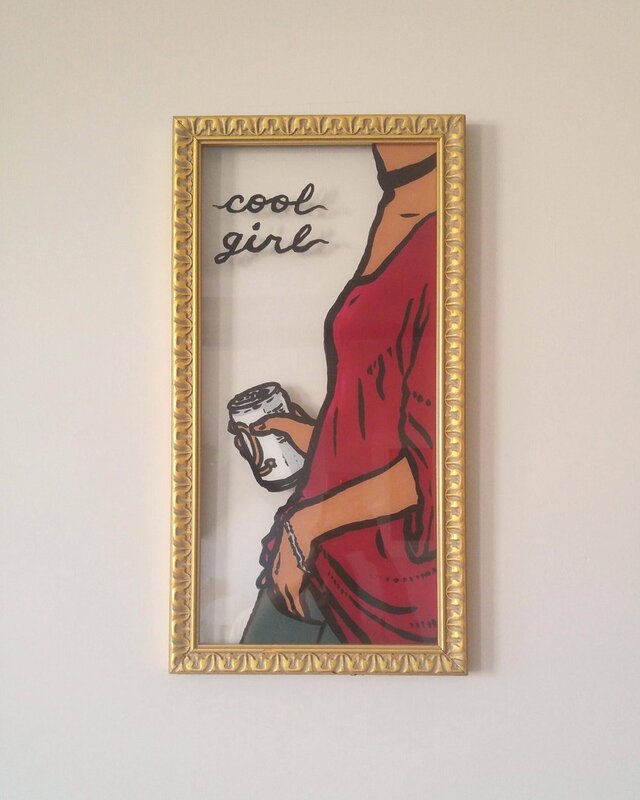 “Cool Girl” is a playful, tongue in cheek recognition of the current cool girl aesthetic, and the vapidness and beauty that comes with it. 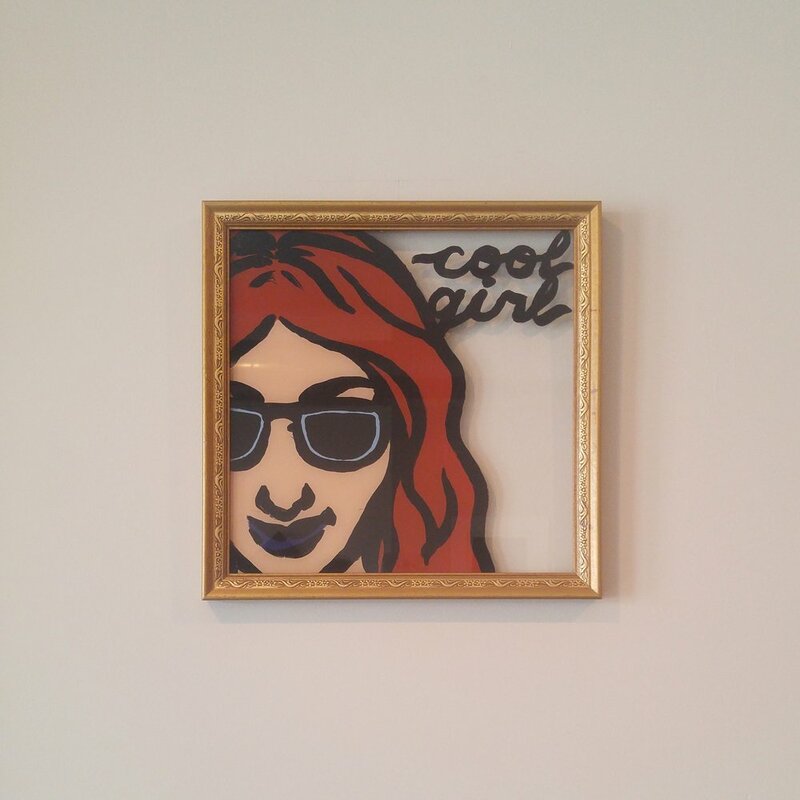 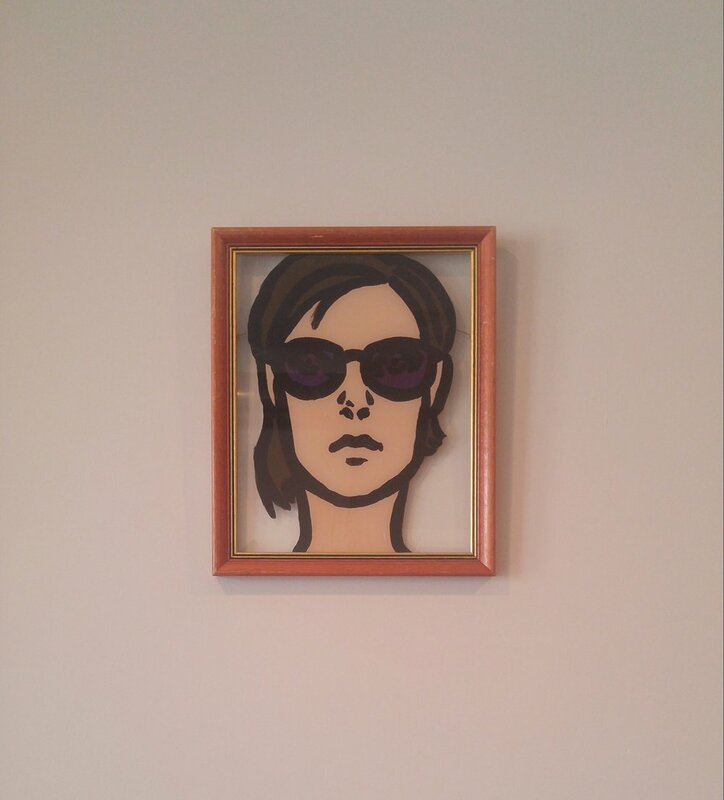 All pieces are made with acrylic paint applied directly behind the glass of antique picture frames. 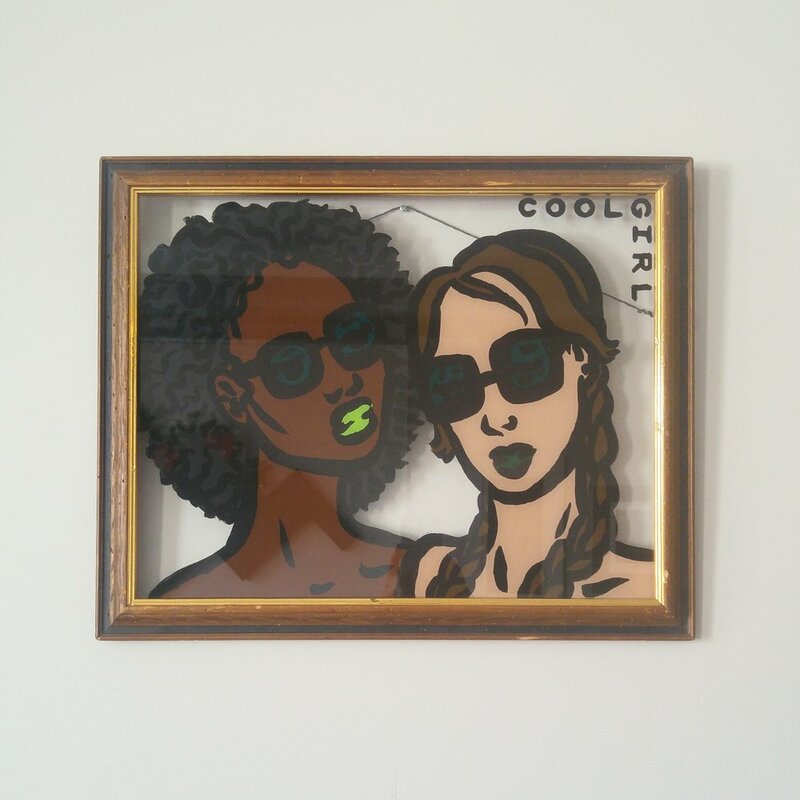 Intentionally pop-art in style, all of the pieces are tessellated together on a large wall. 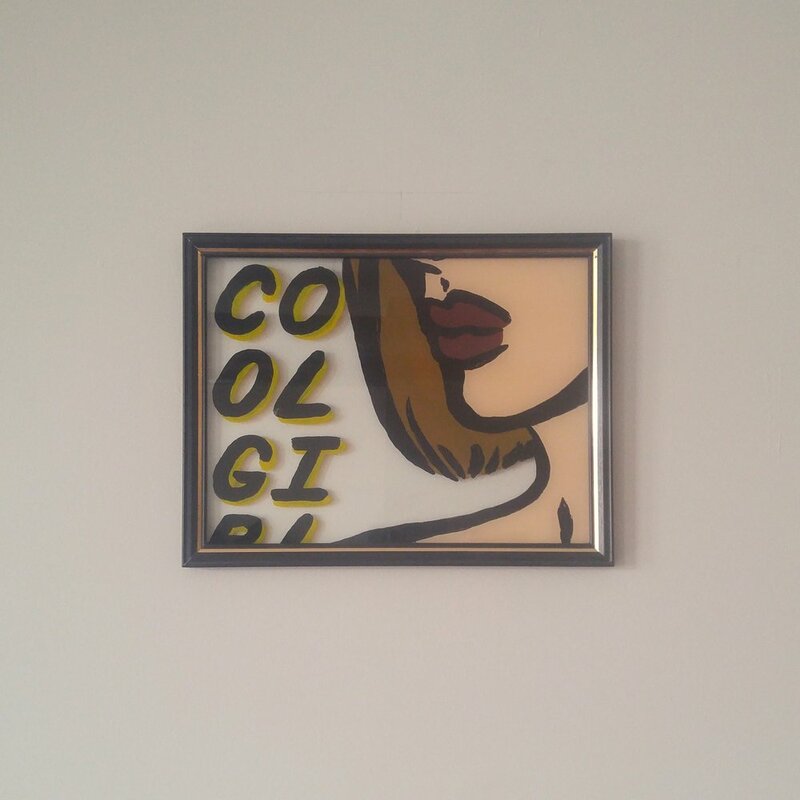 With this arrangement, they end up cohesively resembling the photo-arrangement algorithm of popular social media sites, melding together to wash the viewer with form and color. 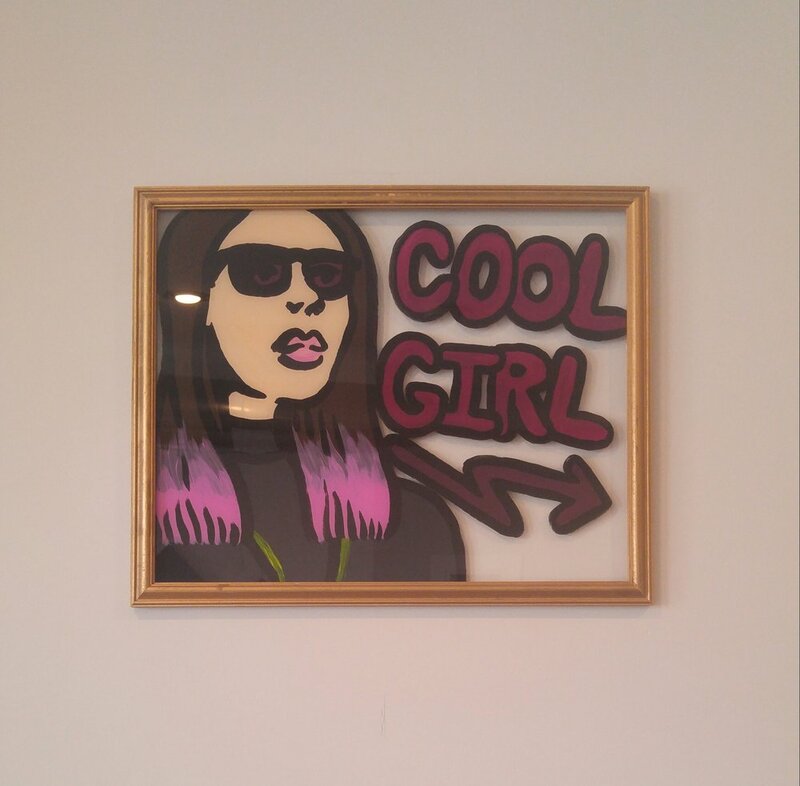 You can purchase the Cool Girl Hoodie created with this series here.